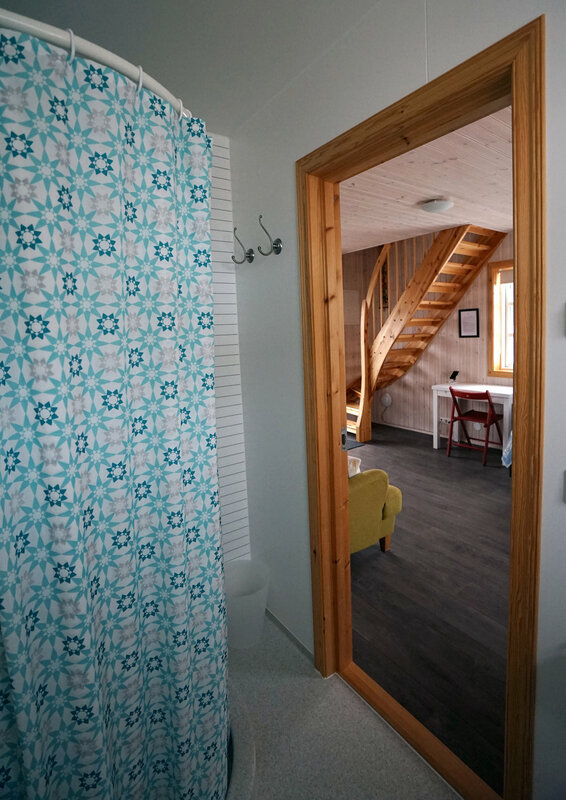 The 4 Cottages have been added in recent years and can accommodate up to 16 guests based on double occupancy with ensuite bathrooms. 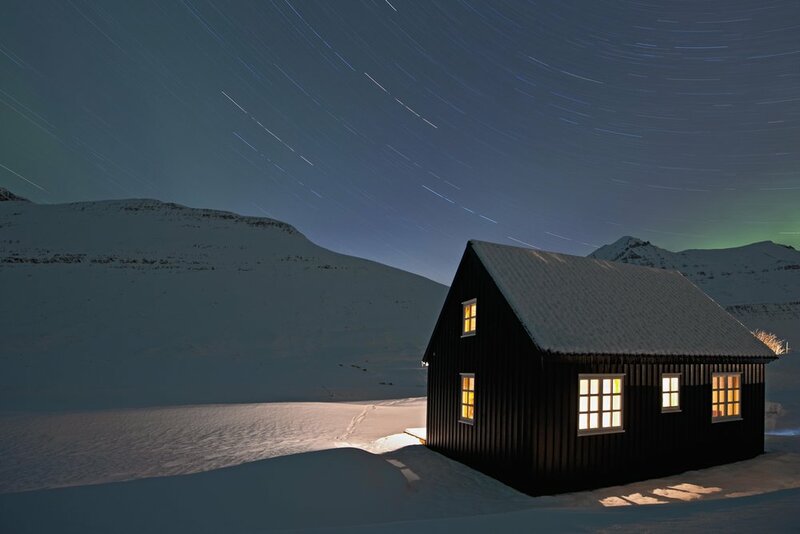 The Klængshóll property consists of 4 cottages, the main farmhouse and the Barn. 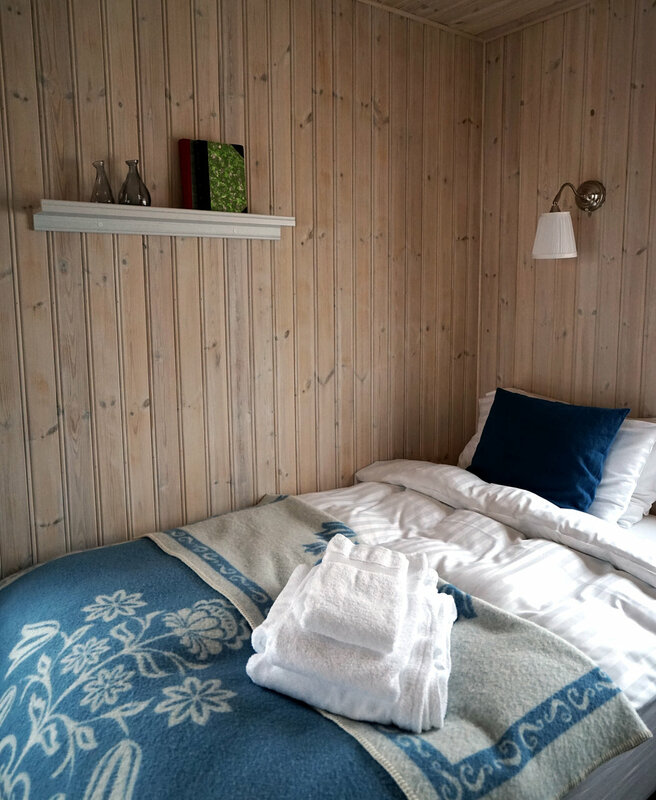 The cottages are made up of 2 separate "apartments". All apartments have mountain views. 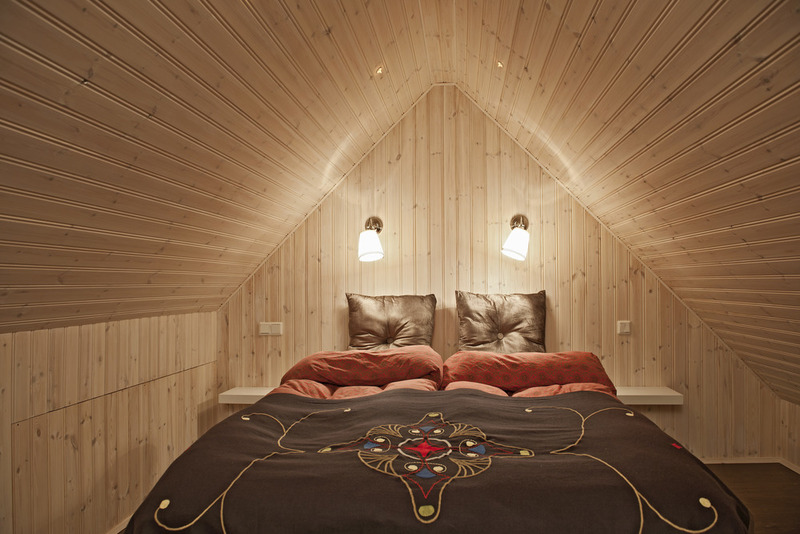 Each apartment has an upper loft with a double bed and a single bed on the main floor. 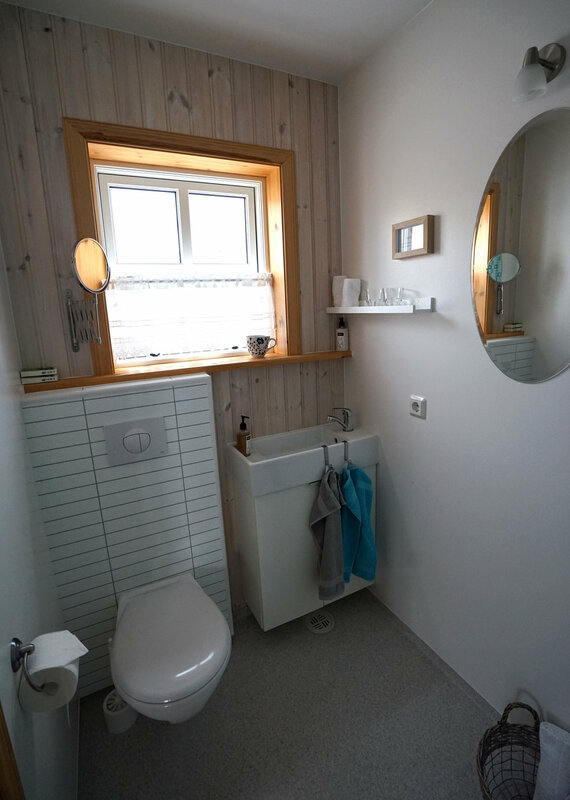 There is 1 bathroom with a shower in each apartment as well as a small refrigerator. Each apartment is ideal for a couple or a family of 3. The farm house was built in the late fifties and maintains the classic appearance of the houses built in that era with a large kitchen/dining room which was the heart, soul and meeting place of the whole family in those days and many bedrooms of varying sizes. Another classic part of the architecture of these mid twentieth century farm houses is the large entry way used in the preparation of foods for storage and many other tasks. As most farmhouses in Iceland the exterior is white washed with a bright red roof, the traditional color of an Icelandic farm, a tradition brought on by the fact that for decades those were the only two colors available at the coops around the country.